Spearheading the Aspinall Foundation's groundbreaking Back to Wild campaign to restock the megafauna of the Batéké Plateau National Park, our team is nearly ready to reintroduce a group of chimps and mandrills back to the wild after months of preparations. These animals were destined to spend the rest of their lives in captivity if it were not for the Foundation's efforts. Torn from their family groups whilst very young these have only known a life of captivity, behind bars, unable to connect with each other to form new family groups. They will soon be ready for the transfer to the national park and eventual freedom. Our experience in reintroductions plays a vital role in increasing the chances of success in such complex projects. Chimpanzee and mandrill reintroductions have only been attempted a handful of times so we have been meticulous with our planning. The females chimpanzees were mixed together first, and the two males slowly introduced to each other to allow them to work out their hierarchy without injuring each other. Finally we mixed both sexes together under close observation (forming artificially created groups requires careful attention). 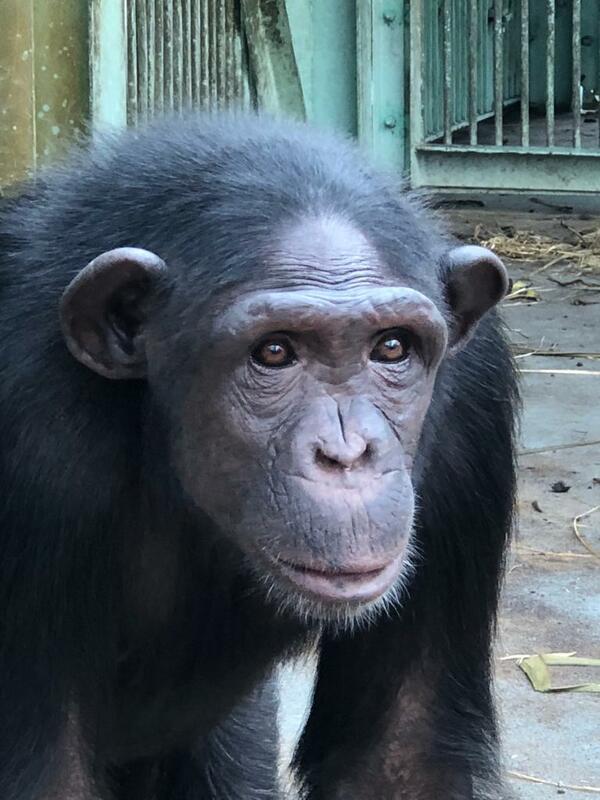 We plan to transfer the chimp group to a large island on the northern edge of the park where they will learn to live in their natural habitat but continue to receive supplementary food if needed. After about 6 months we will raise the cable bridge between the island and the mainland so that they will be free to come and go, giving them the opportunity to explore their new home in safety. The mandrill group had the same rigorous medical checks that the chimps had and will be mixed together prior to being transported into a specially chosen site in the park which our team has selected as being suitable habitat for mandrills. They will spend the first night in the forest in their transport crates before being released the following day. Like the chimps they will continue to be fed supplementary food until it is no longer needed. We plan to monitor both species using radio tracking collar for at least the first year post release. Another exciting campaign that TAF is working on as part of our megafauna project is the repatriation of captive born painted dogs and red river hogs back to their natural environment in Gabon, something that has never been done before. 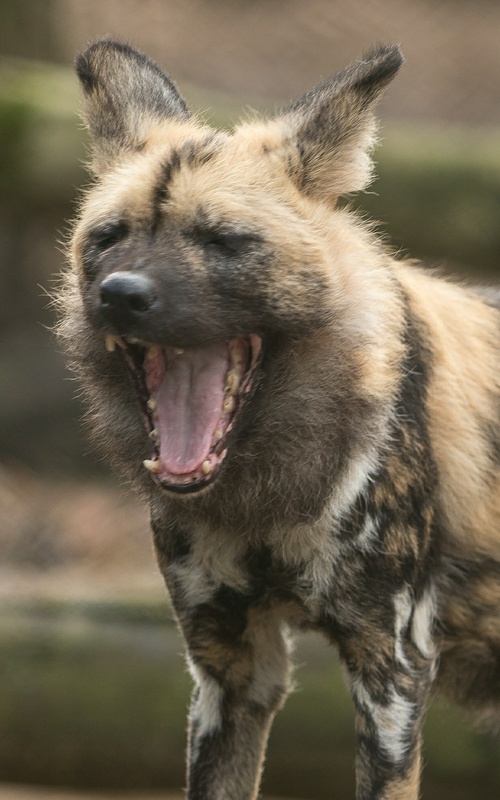 Painted dogs became extinct in the national park sometime in the 1980s and it has always been one of the Aspinall Foundation's goals to reintroduce them. Our first step will be to send a pack of seven from Port Lympne to a semi-captive environment at Lékédi park west of Franceville, where they can acclimatise and learn how to hunt. Red river hog are incredibly important to the ecology of the park and their numbers need reinforcing to prepare for the arrival of female lions into the park (and hopefully a whole pride one day). The red river hog from the parks in the UK will be mixed with wild pigs and the progeny will then be released.